Composed by Martin Luther in 1535, “Vom Himmel hoch” was first published in Valentin Schumann’s Geistliche Lieder in 1539. Johann Sebastian Bach used the melody in his Christmas Oratorio and as the theme for his Canonic Variations. 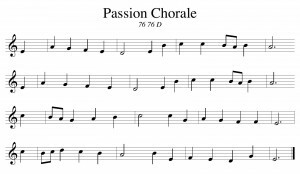 See a list of other chorale themes here. Posted in Themes. Tagged chorale, Christmas, German, Johann Sebastian Bach, theme, Vom Himmel hoch. 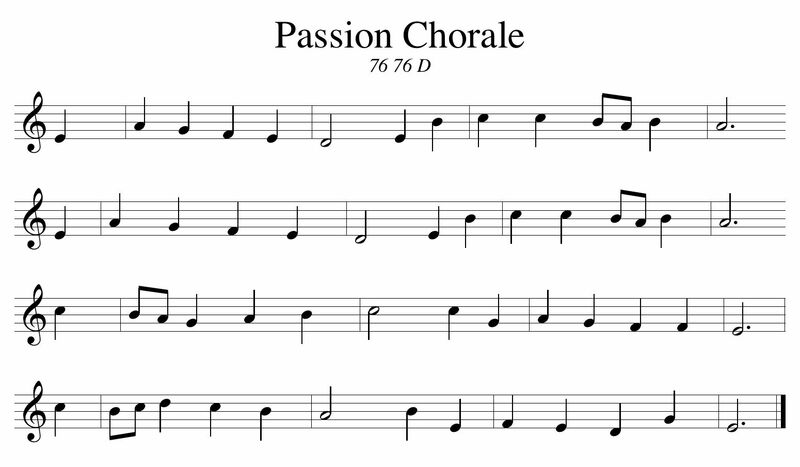 A hymn commonly associated with Palm Sunday and the words ‘All Glory, Laud and Honor,’ this chorale was one of the themes for the final round of the NCOI competition in Boston in 2014. Posted in Themes. Tagged chorale, Holy Week, Palm Sunday, St. Theodulph, theme, Valet will ich dir geben. Now that we’ve explored the Four C’s of Improvising (Competency, Convincing, Coherent and Colorful), the question becomes how do we apply them all at once? If our improvisations are to sound like a composition, then we must be able to master all of them, but where do we start? 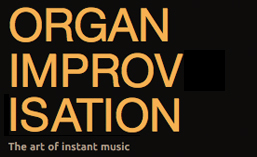 Is there an order that we need to cover them in order to master the art of improvisation? I have always looked at my improvisation skills as a tool box. A house or even a piece of furniture is constructed using not just a hammer, but a hammer, screwdriver, saw, nails, pliers, and depending upon the project, perhaps a measuring tape, a few wrenches, a blow torch or even a backhoe! So constructing a piece of music also requires use of harmony, counterpoint, and many other musical tools. It can be advantageous to practice these areas separately, but eventually we must combine them together if we are to achieve a final product. Mastering harmony alone would be like mastering the saw. There are many things we could do, but we will need more tools to complete our project. Because there are so many tools that we need to master in order to improvise, I have become fascinated by the method books that have been written to teach improvisation. I am attempting to compile a bibliography of books here. Please let me know about others and I will add them to the list. Each of the books I have seen chooses a different place to start and covers different tools. And now a somewhat discouraging announcement: This is only the beginning! The knowledge you have gained about harmonizing can help you begin to improvise hymn introductions and choral preludes. This makes knowledge of different musical forms absolutely necessary. Rather than search through Bach’s 371 Harmonized Chorales for simple chorales, Harmonizing by Sietze de Vries will provide you with plenty of useful themes to practice not just harmony but many other tools from your toolbox that you might wish to develop. What sort of introduction or chorale prelude could you make with the theme above? If this is the starting place, where would you go next? How many different places can we go from here? Rather than be discouraged, I get excited by all the possibilities! We have a start, so let the adventure begin! Posted in Newsletter. Tagged Book review, chorale, Harmony, Sietze de Vries, theme. Originally written by Hans Leo Hassler around 1600 for a secular love song, “Mein G’müt ist mir verwirret”, this chorale is often associated with the text “O Sacred Head, Now Wounded,” a text based on a medieval Latin poem often attributed to Bernard of Clairvaux (1091-1153), but now attributed to the Medieval poet Arnulf of Louvain (died 1250). 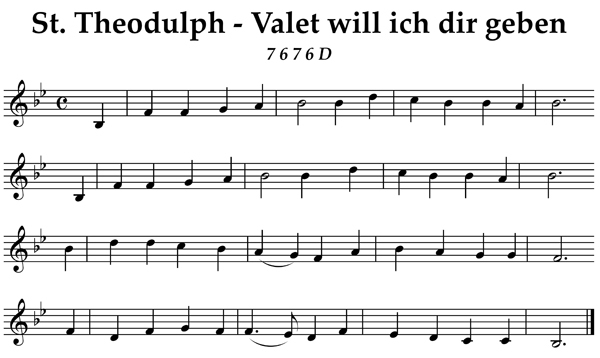 Paul Gerhardt wrote a German version “O Haupt voll Blut und Wunden.” The tune was appropriated and rhythmically simplified for Gerhardt’s German hymn in 1656 by Johann Crüger. 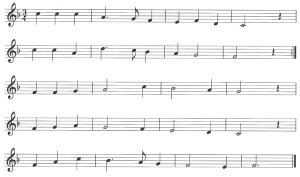 Johann Sebastian Bach arranged the melody and used five stanzas of the hymn in his St Matthew Passion. Bach also used the melody with different words in his Christmas Oratorio. The hymn was first translated into English in 1752 by John Gambold. The most widely used English translations were made by the American Presbyterian minister, James Waddel Alexander in 1830 and the English poet Robert Bridges in 1899. Posted in Themes. Tagged chorale, Hans Leo Hassler, hymn, J.S. Bach, Johann Crüger, Passion, Passion Chorale, William James Ross. Because hymns and chorales form the cornerstone of most Protestant worship services, they are frequent subjects for organ improvisations. Examples can be found below in both liturgical and concert settings. For more videos, see the master list of all videos on the website here. Posted in Themes. Tagged chorale, concert, DUKE STREET, Hyfrydol, hymn, Hymn to Joy, Liturgy, Lobe den Herren, Passion Chorale, theme, Worship. 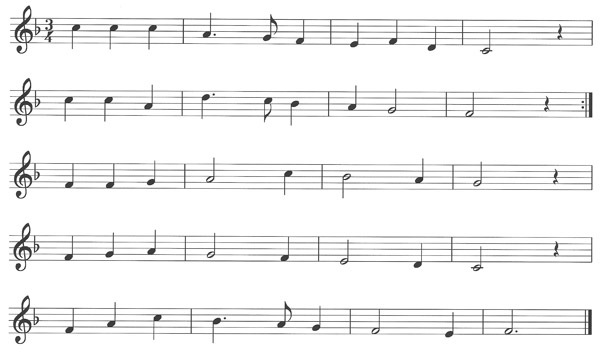 A fugue is a contrapuntal compositional technique in two or more voices, built on a subject (theme) that is introduced at the beginning in imitation (repetition at different pitches) and recurs frequently in the course of the composition. Posted in Form. Tagged chorale, David Briggs, form, Fugue, Otto Maria Krämer, St. Sulpice, William Porter.